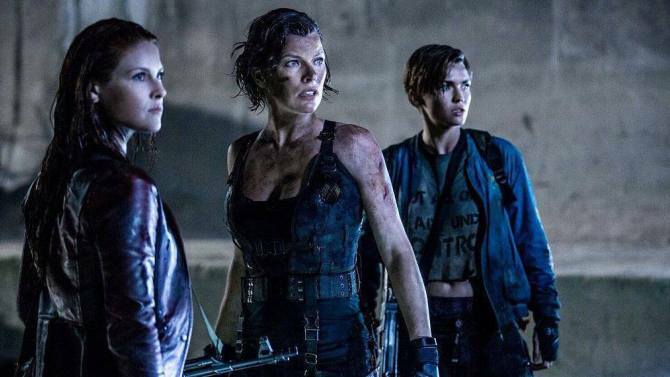 The Resident Evil film series has sustained far more longevity than anyone would have expected. Despite the baggage that accompanies the entire video game film genre, they’ve been better received than almost all of their cinematic brethren. Nevertheless, none of them are truly excellent or even quality pieces of filmmaking. They can be very entertaining and occasionally have well-shot set pieces but the series as a whole hasn’t reached its potential. With the latest installment bearing the subtitle “The Final Chapter,” the series will seemingly end on a head-scratching whimper. As the climactic conclusion of the franchise, Resident Evil: The Final Chapter attempts to bring things full-circle through its premise. 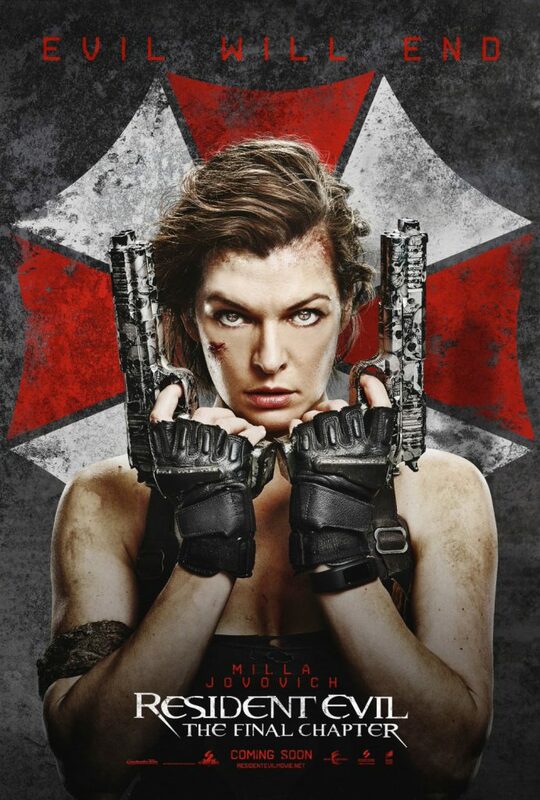 Alice (Milla Jovovich) is sent on a last chance sort of journey back to The Hive inside of Raccoon City. Along the way, she re-teams with Claire Redfield (Ali Larter) and a ragtag group of survivors to fight zombies, monsters and the usual generic evil businessmen who comprise Umbrella. Despite an apparently simplistic plot, the film is a barrage of action sequences and little in the way of actual storytelling. While that sounds good on paper, the action sequences are poorly staged and the writing flip flops between lazy writing in the form of twists and retcons. Collectively, The Final Chapter offers the most action of the series, but it is never enjoyable to watch. While the action throughout the series has been inconsistent in quality, The Final Chapter consists entirely of nauseating editing and terrible CGI renderings. The initial problem with a few sequences lies in their conception. As an example, a scene in which Alice shoots a bunch of soldiers while hanging from a bridge feels incredibly staged. There’s even a “Helm’s Deep” knock-off involving the survivors defending themselves against a zombie horde. Drawing inspiration from other films has plagued the career of director Paul W.S. Anderson. Whether it’s using Enter The Dragon as the basis for Mortal Kombat or the countless homages in Event Horizon, Anderson lacks the technical ability to place his own stylistic touches on his influences. Even when he borrows creatures from the games, the lack of logic makes it feel shamelessly derivative. In addition to Ali Larter, Iain Glen makes his return to the franchise as Dr. Alexander Isaacs. After his apparent demise in the third installment, it’s revealed here that his clone was the one who bit the dust. While cloning is not uncharted territory for this franchise, it comes across as a hackneyed excuse to bring back an actor. Despite his return, he doesn’t even feel like the same character from the prior installments. He spends much of his screen time spewing religious rhetoric and bears Christian apparel in his personal space. His reasoning behind his actions are feeble attempts to make the film seem more intellectually provoking than it actually is. He brings the right amount of energy to the role but his presence undermines Albert Wesker as the primary antagonist of the last few films. Wesker by the way is reduced to looking at monitors inside of The Hive. Larter’s return could have provided the film with some much needed emotional connection between the characters. This request is only in comparison to the other films in the series. While there’s no power in the past relationships, there was always a sense of camaraderie among the characters. None of the surviving characters return from the previous film, which makes this entry feel somewhat inconsequential in the big picture. Claire is merely a prop for the action scenes and the other survivors do everything but wear redshirts from Star Trek. Like Jovovich, Larter does has a certain amount of charisma, but her presence is merely for name recognition. If you’re a fan of the franchise, the big curveballs thrown by the film do provide some amount of context to the entire series. The reveals come late into the film and they clash with the frantic pacing. Some of them even break pre-established rules set up earlier in the movie. So much of the writing makes it appear like “The Final Chapter” was a last minute decision. Hopefully, this is the last film in the series because sitting through this made the whole affair feel like a mercy killing. Perhaps Capcom can now helm a new series that properly represents the video game series. Resident Evil: The Final Chapter is now playing in theaters.